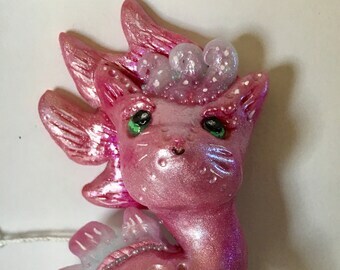 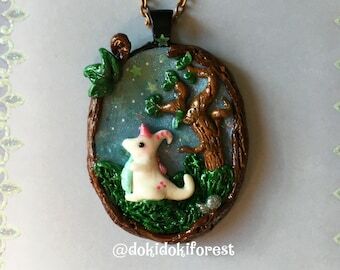 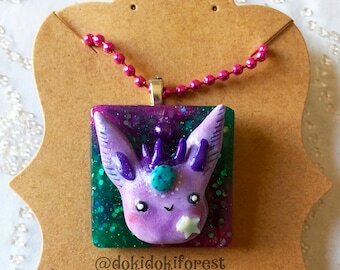 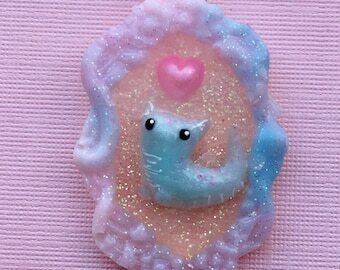 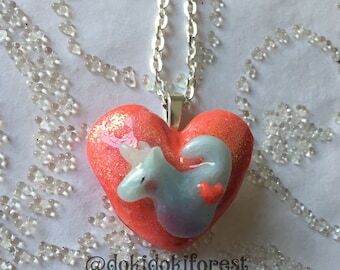 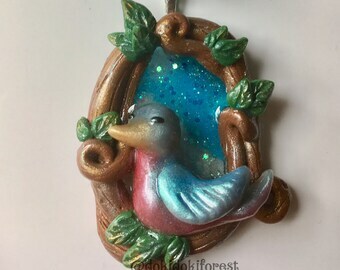 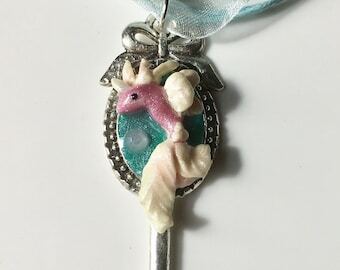 Here is a little magical dragon pendant you can wear with a beautiful holographic magical symbol set in a resin center. 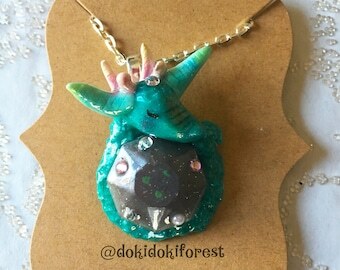 This little dragon works his magic to repel any negativity and only allow positive vibes to come near you! 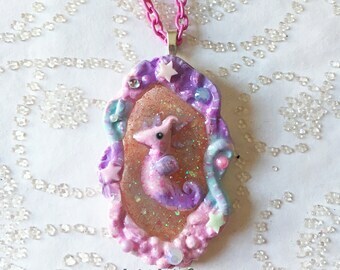 The magical symbol changes color in the light and shimmers beautifully. 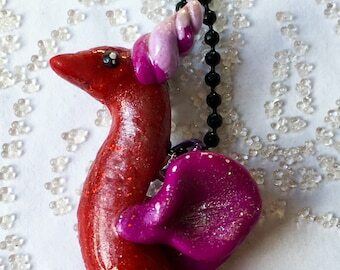 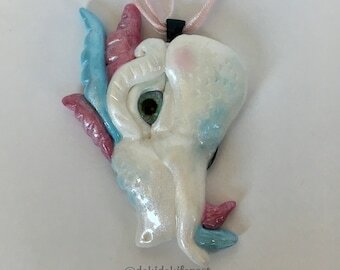 The dragon and and pendant back were crafted from polymer clay and sealed in resin. 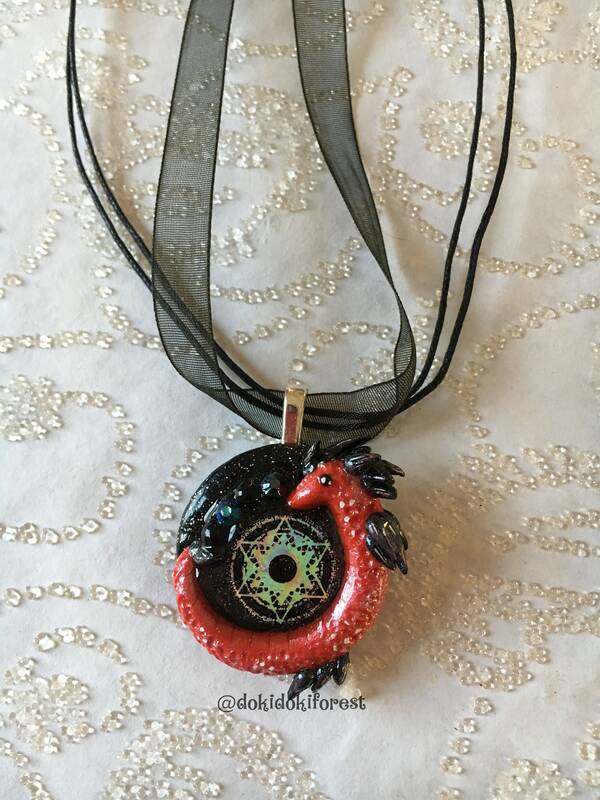 This pendant comes complete on an organza black choker with an extender which can be adjusted from 18" to 20". 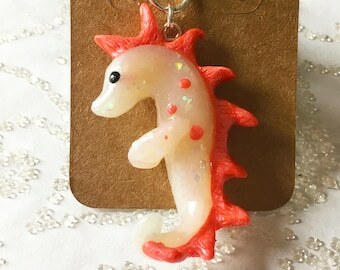 Measures about 1 1/2" tall and 1" wide. 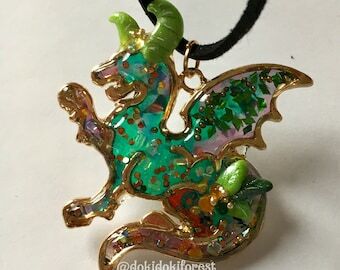 Please be sure to see the pictures so you can check the scale of the pendant.